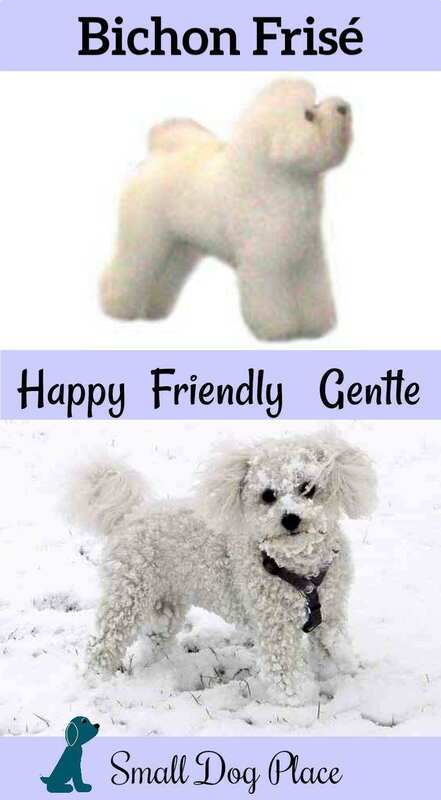 If you are looking for a sweet, happy go lucky small dog then the Bichon Frise might be the dog for you. The name, Bichon Frise is pronounced BEE-shon Free-ZAY. A very popular small purebred dog, the Bichon is ranked number 38 on the American Kennel Club's 2013 breed list. Their fluffy, powder puff coat with their large dark eyes make them an irresistible choice for a small dog companion. They do require a commitment to grooming, at least a good comb every other day, but their exercise requirements are minimal. These little guys can be barkers and may be hard to housebreak, but they make up for it in their friendly, responsive, and affectionate nature. These dogs make great lap dogs, but they are definitely not lazy. The Bichon is an active breed but can get most of their exercise needs with a daily walk or vigorous romp around the house or yard. They can get bursts of energy where they will run wildly around the house. Originating in the Mediterranean area, its main function from the very beginning was that of a companion dog and a performer. Having first descended from the Barbet or Water-Spaniel crossed with the poodle, it was divided into four different types: Bichon Maltais, the Bichon Bolognais, the Bichon Havanais, and the Bichon Teneriffe. The Bichon that we know today came from this last category. This spunky, playful breed developed on the Canary Island of Teneriffe, possibly after having been brought there by ancient Spanish sailors. In the 14th century, Italian sailors visiting the island brought the dog back to the mainland where they became a favorite pet of the upper class and nobility. After several French invasions of Italy in the 16th century, they became popular with the French as well. 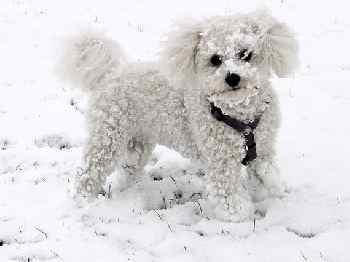 It was during the Middle Ages that the breed developed often being called the Tenerife Bichon from the location where it was first discovered. Around the 1800s, the Bichon became popular with the common people and were used by peddlers and organ grinders to perform tricks for money. Nowadays they have become a favorite family pet, eager to cuddle, play or give affection. Gentle, affectionate, playful, cheerful, intelligent, bold, lively, and clownish are words that describe the Bichon Frise. 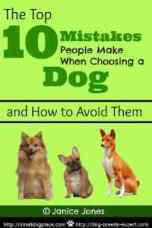 They are great with families, children, and other animals. They make great apartment dogs due to their small size and low exercise requirements. Bichons are considered to be a very intelligent breed, but may not always be cooperative with house training. Most Bichon puppy owners will confine their dog in a small area while away from the home and put them on a regular schedule. Crate training is also recommended. This breed bonds quickly to his new owner and is eager to please. They love to be the center of attention, a real show off and can learn to do tricks easily. He will keep you entertained. The beautiful coat of a Show Bichon requires extensive grooming, much more than the average person can do. 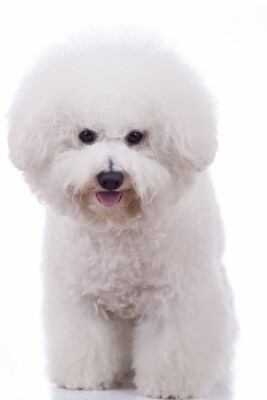 Many people fall in love with the gorgeous thick curly double coat of the Bichon. But with this coat comes a little time commitment and financial outlay if you are planning to use a professional groomer. If you are considering a Bichon, be prepared for daily or at least every other day grooming. You will never find their hair shedding on your furniture, but rather it sheds into itself creating mats if not combed and brushed regularly. They require brushing and combing at least every other day to keep the lovely powder puff look sans the mats. Bichons also need clipping or trimming every two months with a bath or two in between. If you plan on keeping your dog in a shorter coat, you may need to budget for grooming every 6 weeks. Eye stains can be a problem, so a daily face wash is recommended. Nails also need to be clipped and ear hairs plucked from the ears. Hair also grows between the pads of the the Bichon Frise's paws and needs to be trimmed. Most of these tasks are done by the groomer. 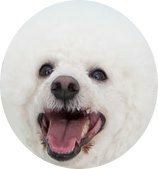 Even if you do get your Bichon professionally groomed every couple of months, you will still need a few tools and supplies to keep her looking great between visits. 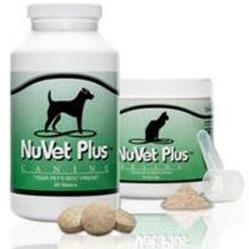 This is a relatively healthy breed, but certain health problems do exist. Most of the problems that the Bichon might face are common in small breed dogs. These conditions are all seen in many different breeds and will need attention by a veterinarian but are not life threatening. Another common concern of owners is blocked tear ducts which causes the runny eyes and tear stains. How Much Do You Know about the Bichon Frise? The Bichon is in the same family of dogs as the Maltese, Havanese, Bolognese and Coton de Tulear, but is the only one with a double coat? Please Share Your Dog's Story, that is, not your Dog!! Tell us why you chose the breed, and what they are like to live with. Does your dog have any special talents or unique quirks? Tell us Why you would recommend the breed and to which type of dog owner. The more you say, the better! Don't forget to let us know whether your dog is a girl or boy, and their current age.